You can trust us to handle your roof replacement exceptionally; we are highly accomplished at what we do and will get it done right the first time, and quickly, with no hassle. We are proud to say that we are the best in the area; our roofers being some of the most skilled in the industry. We also only use premium materials with our roofing services, which means your new roof will be highly equipped to protect your house or business and your family from the elements, and look great while doing it, for years to come. 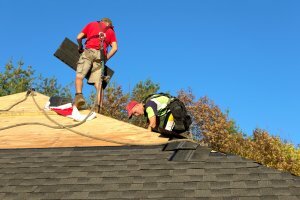 When you are undertaking a project like replacing a roof, you want to find roofing services you can trust, who will be professional and have the right technology and techniques to get it done well. You don’t want a group or single contractor who will show up late, do a sloppy job, or not finish the job properly. Our roofers have over 40 years of experience, and pay attention to detail, and what you need for your home or commercial property. Our staff of contractors will show up on time, are professional and courteous, and most importantly, are adept as roofers. It is very important to us that your wishes are taken into consideration when we handle your roof replacement, and we go the extra mile to do a proper job. Call us today to get a free estimate! Residential roof replacement is one of the most obvious changes you could make to your home; trust a company who will do it right. We specialize in residential roofing and have a wonderful team that will exceed your expectations and anything you’ve previously experienced. We can transform your home into a gorgeous standout from the rest. If you are interested in shingle roofs, you couldn’t make a better choice than to give us a call to go over your roof replacement. One of our roofers would be happy to meet with you to give you a no-obligation, free estimate for your home. We can answer all of your questions regarding roof replacement and make sure you go into this with all the information you need to make the right decision for your home. We will show you all of the options when replacing your roof, and help you through the entire process until you are fully satisfied. The job isn’t over for us until you are 100% happy with our craftsmanship. We also offer commercial roof replacement and can take care of any of your industrial roofing needs. Talk to one of our roofers about your home and find out what a difference we can make. You won’t be disappointed! When we’re through with your roof, you’ll see that your days of frequent repairs are over. If you need a new roof installation, consider us. 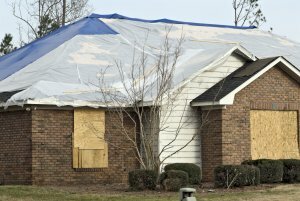 We will get the job done correctly, and prevent the need for recurring roof repair. We handle roof replacement in Bentonville, Springdale, Fayetteville and the nearby cities.